The location, on a small hill, is privileged. The longitudinal field is open to the south and the view of mountain Youhtas. 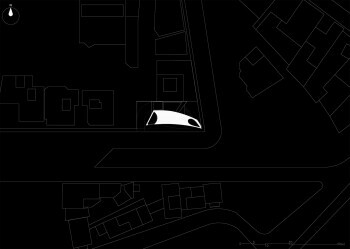 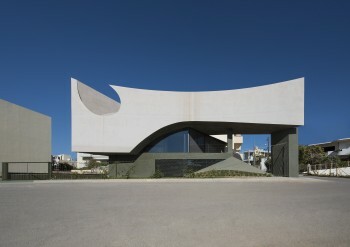 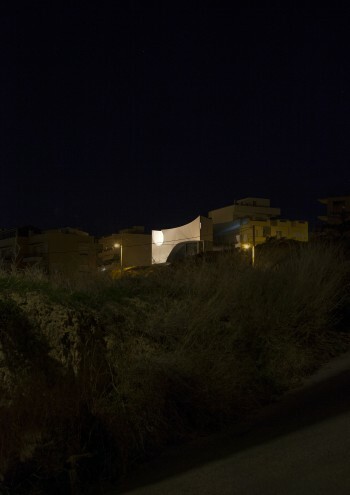 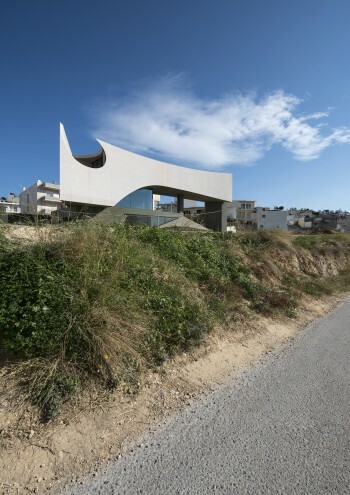 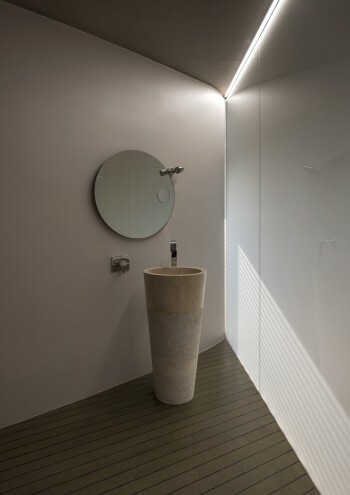 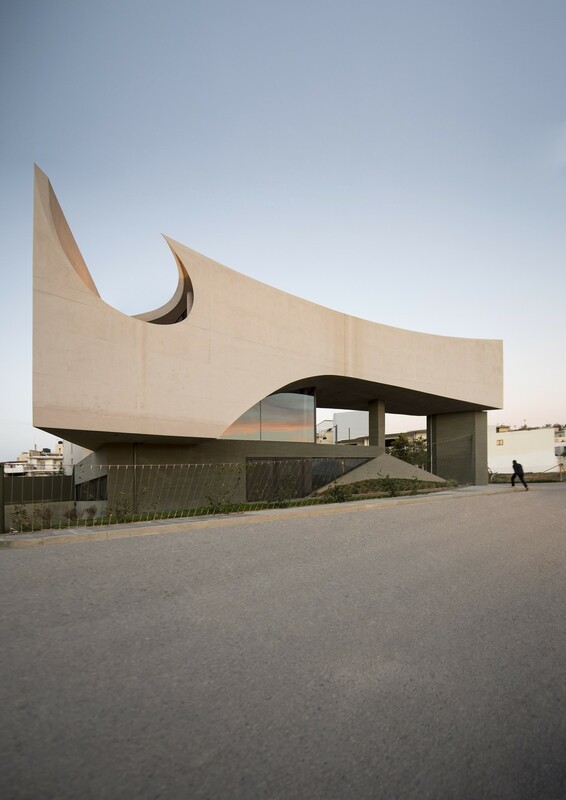 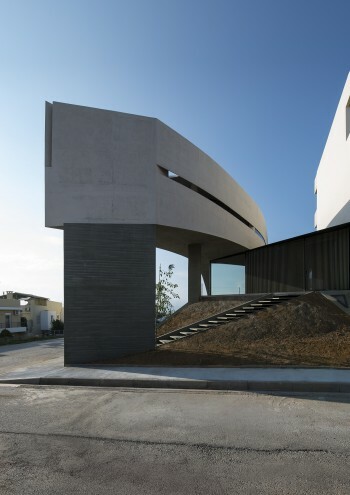 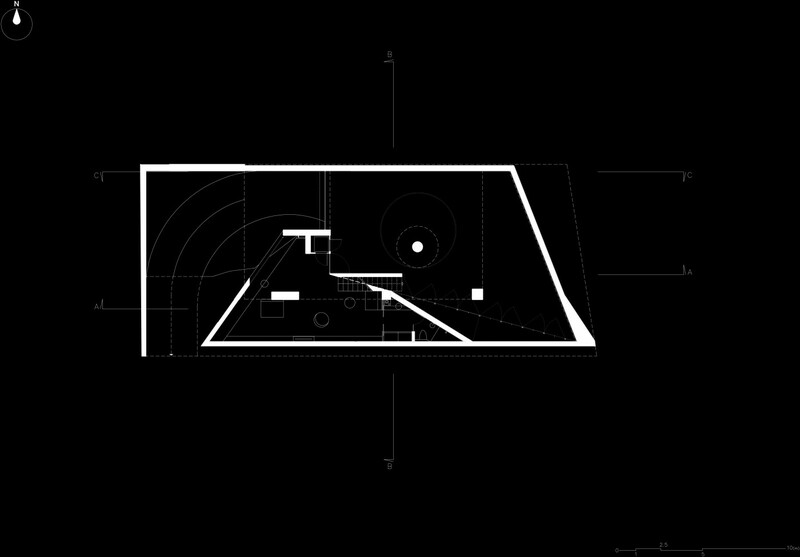 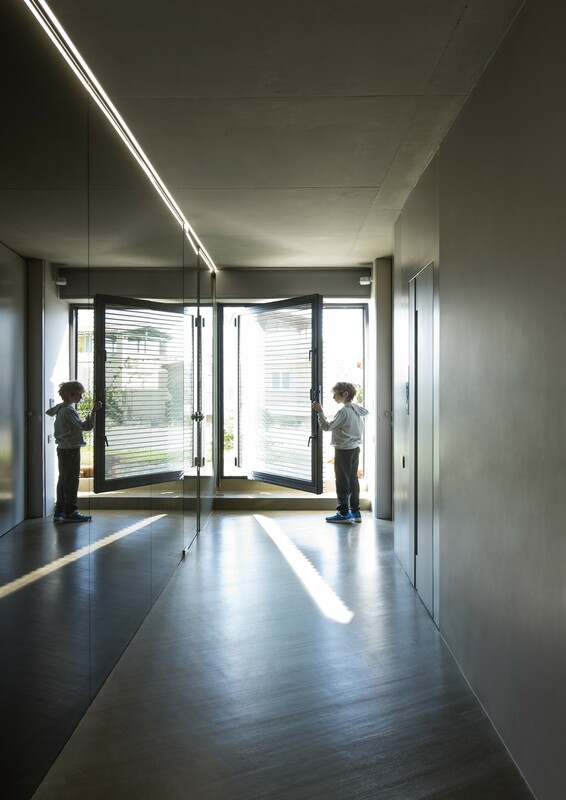 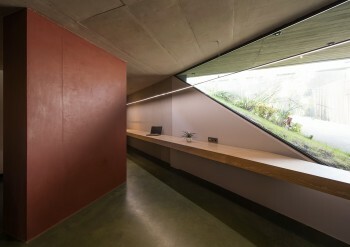 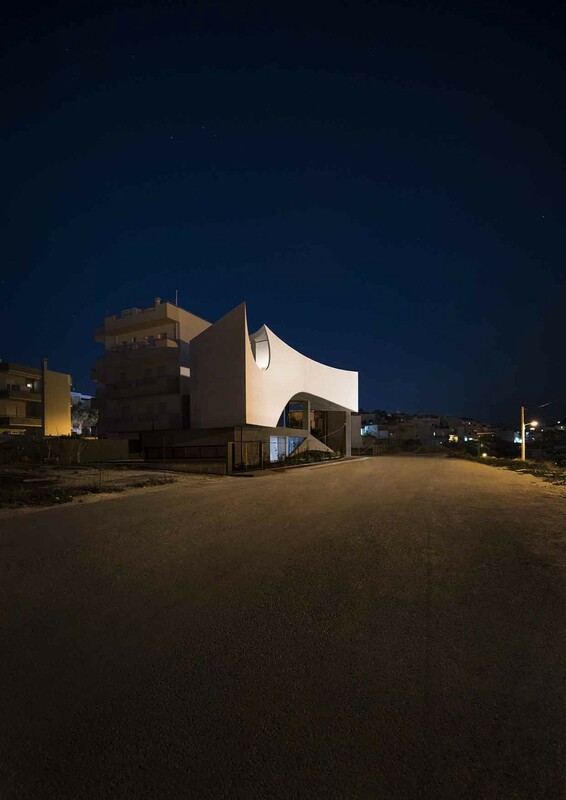 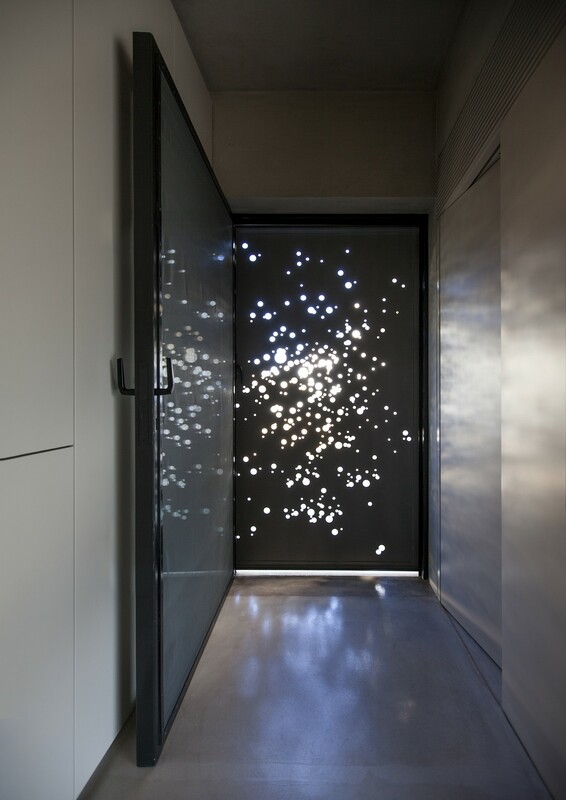 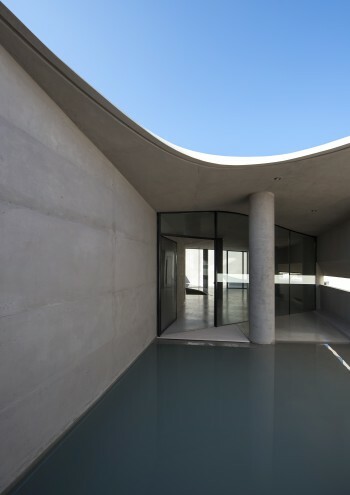 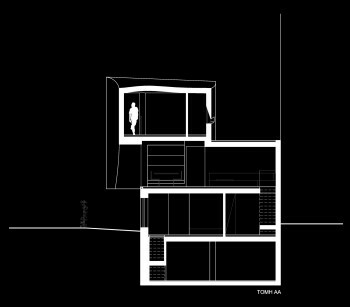 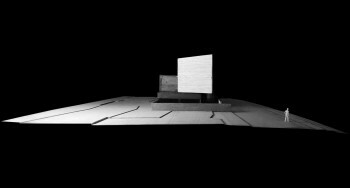 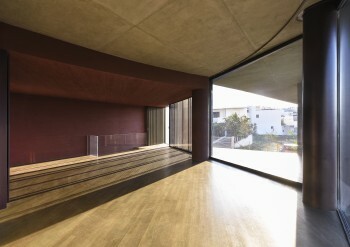 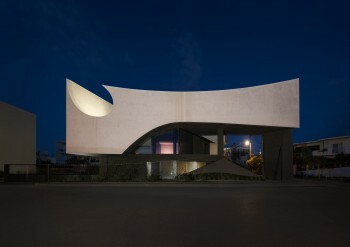 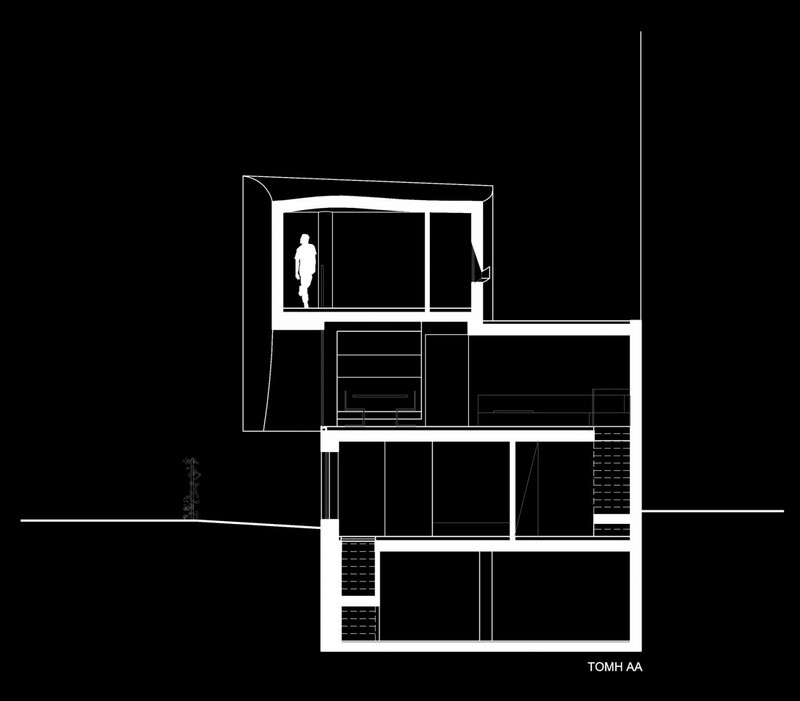 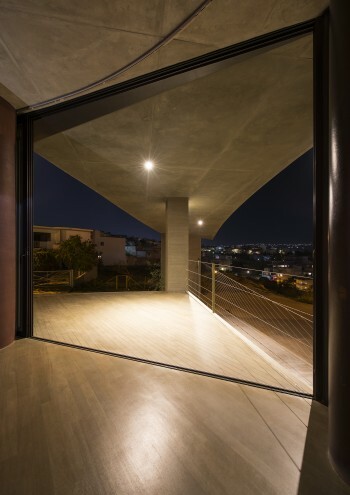 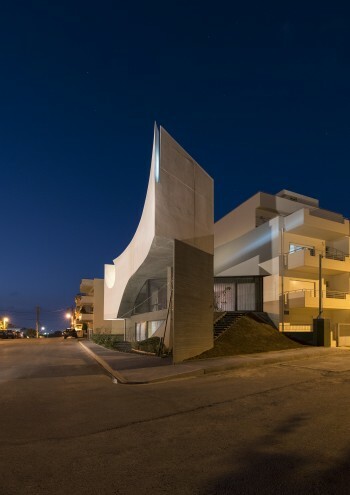 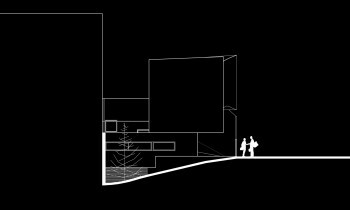 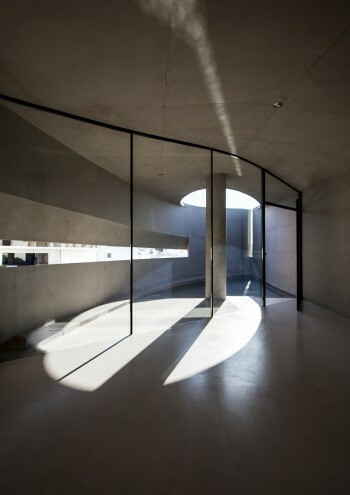 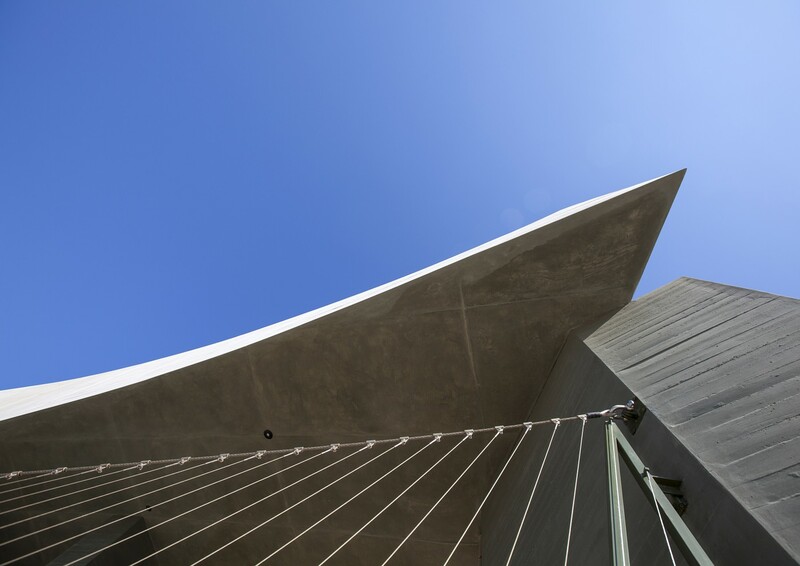 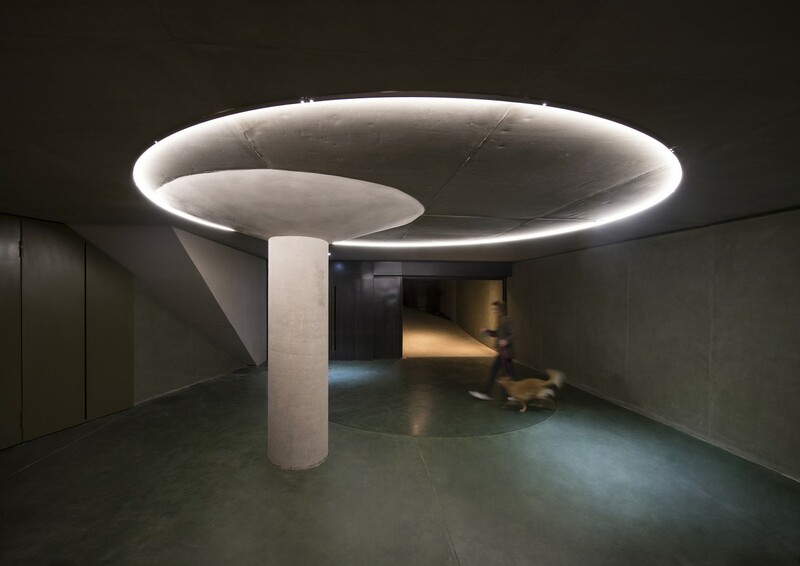 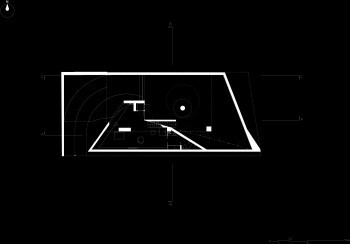 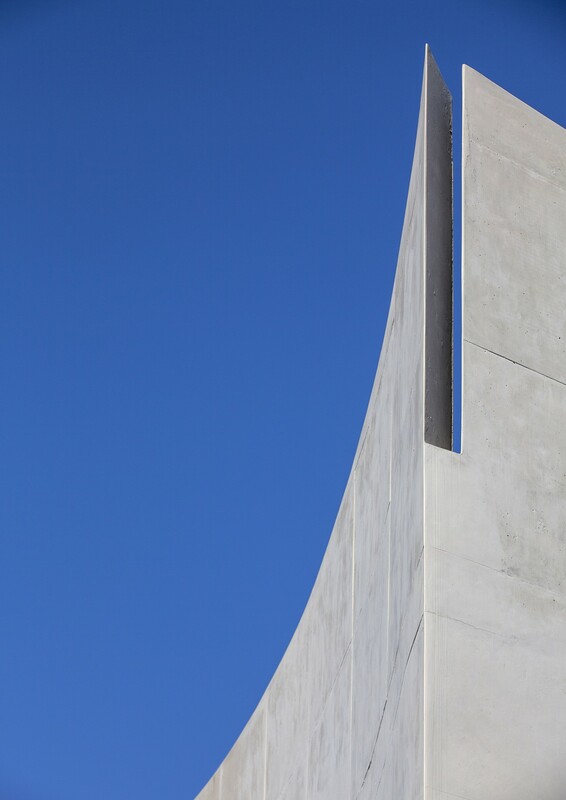 -How can a linear residence deal with the intense cretan light? 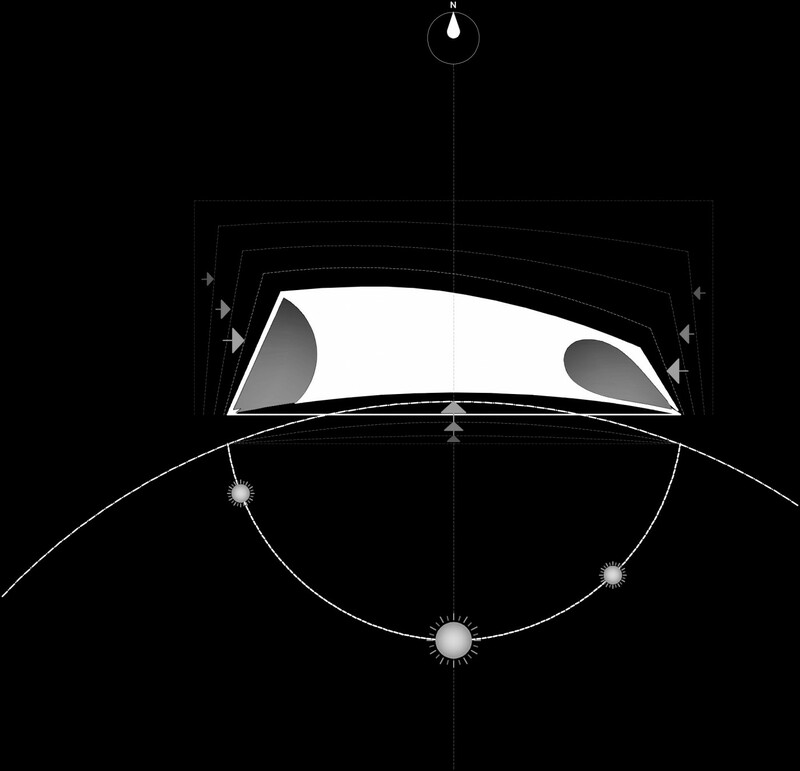 The house necessarily unfolds along the south side, the side of the sun: through a double curvature the building is bend by the power of the sun’s path from east to west. The flat, elevated corner plot offers views of the city and has a southern orientation. 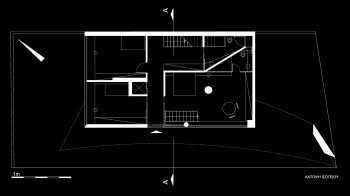 The house develops in four levels, hosting the living quarters at the overground floor level and the sleeping quarters at the groundfloor level. 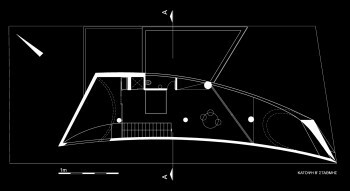 The latter, is open to the garden that is shaded by the main elevated volume which hosts another private bedroom and two open-air spaces excised from its two corners. 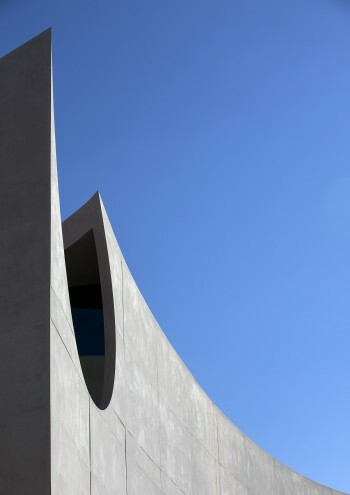 The fair-faced concrete volume functions as a shelter both for the garden and the subjacent main living space. Its bright color is contrapuntal of the olive-green base that accommodates the other bedrooms -which will eventually be hidden by the climbing plants of the tensed inox-rope fence. 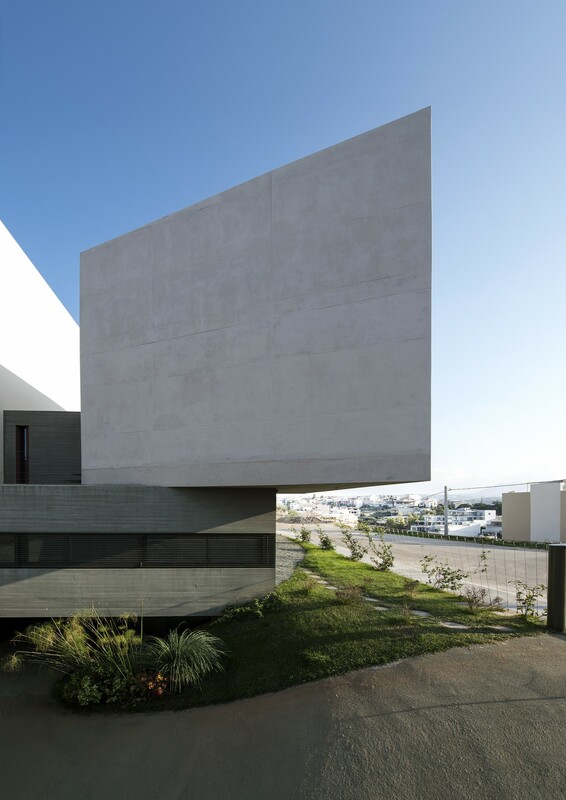 The elevated concrete facade is without openings, except from an excision at the upper corner which reveals an outdoor space open to western views of the city. The lower curve receives the light at the intermediate main level, incorporating the staircase to the upper floor. 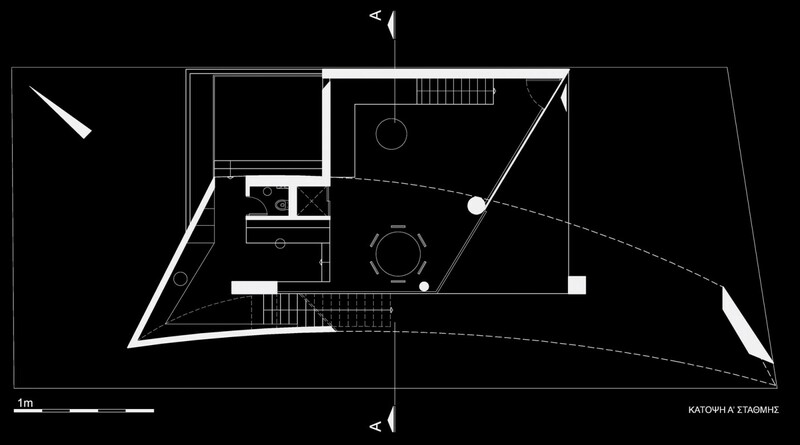 The volume acts not only as a receptor of the private upper premises of relaxation, but also as a shelter for the semi-open expansion of the residence and its garden. 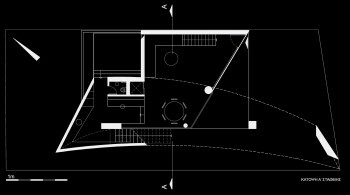 Its interior ends in a hidden excision of the roof, at the eastern corner. 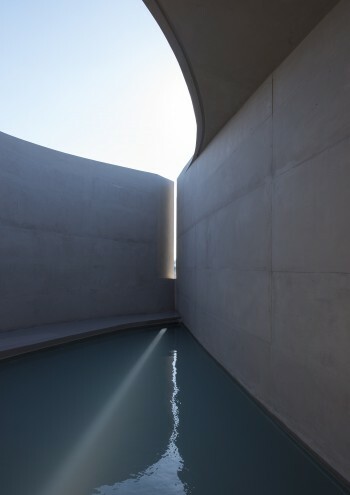 There, a small pool serves as an outdoor bath. 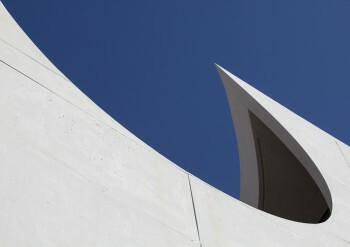 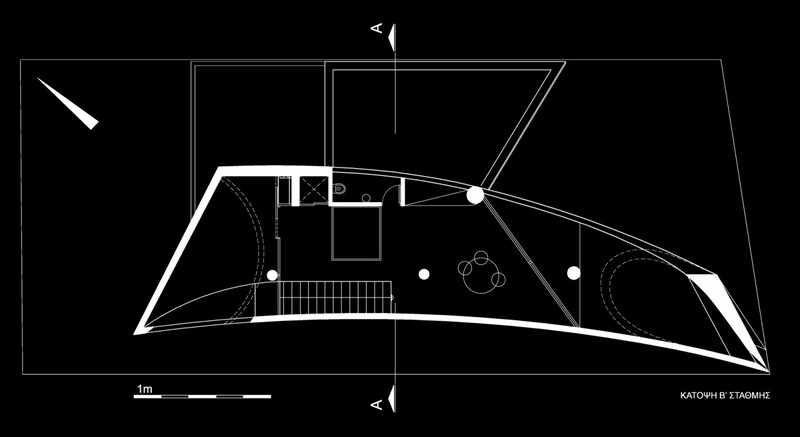 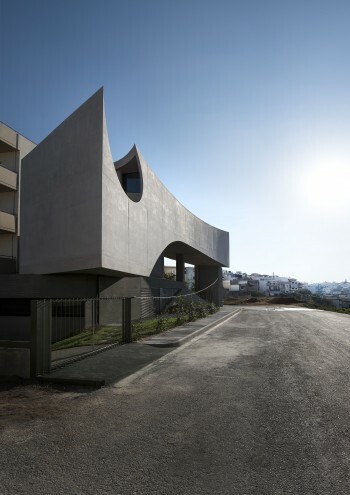 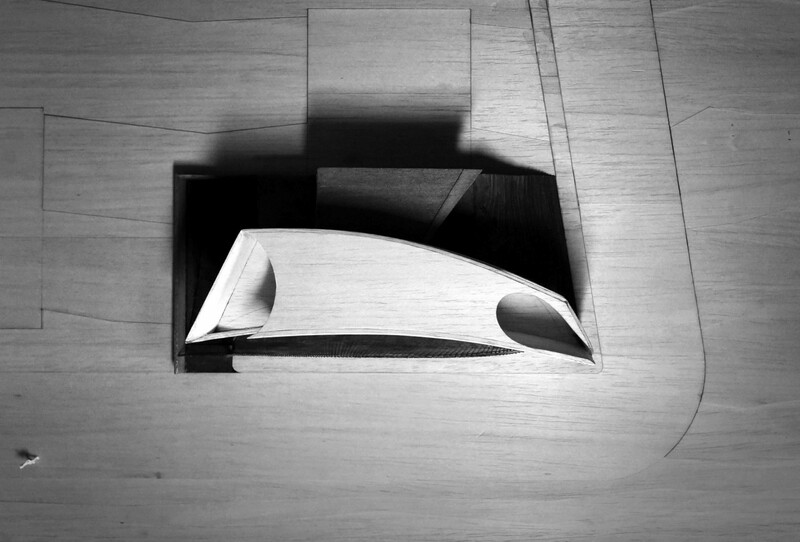 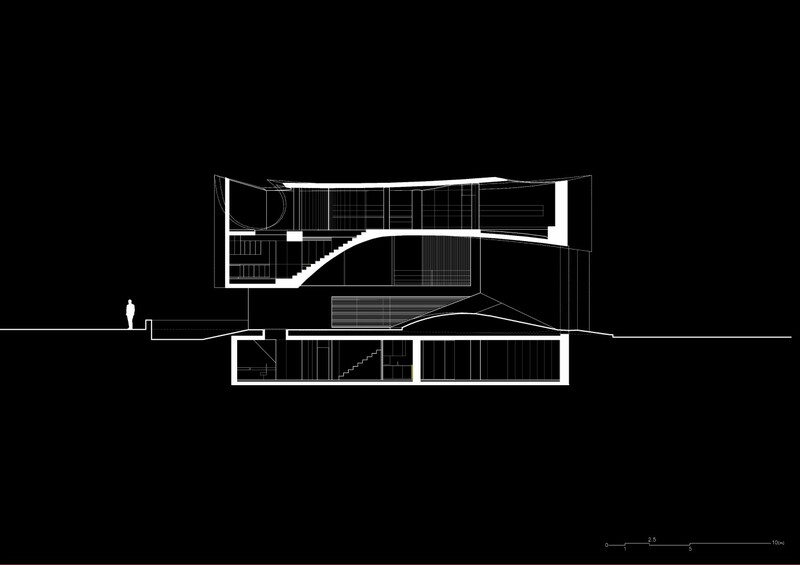 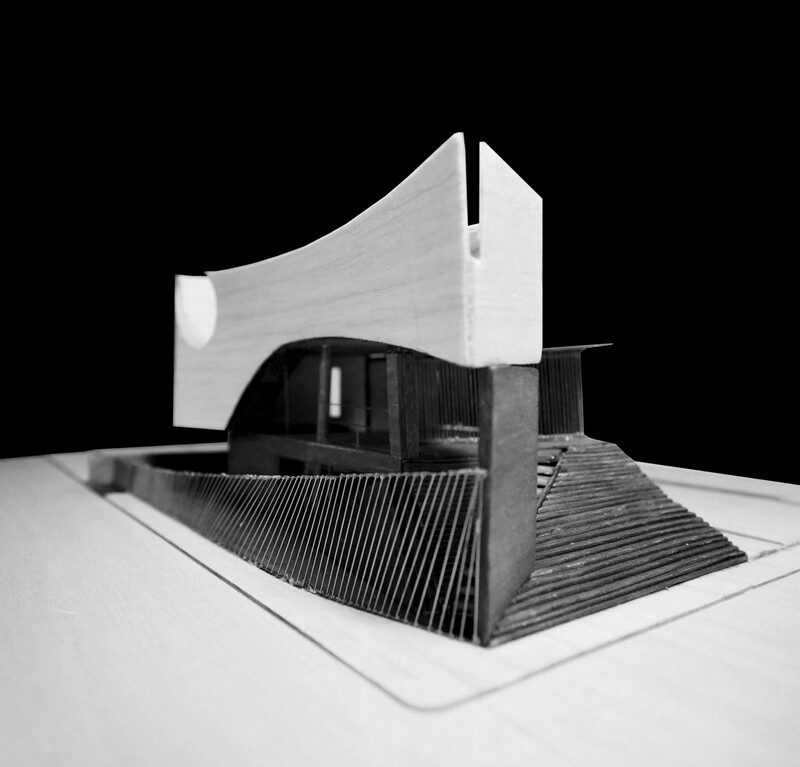 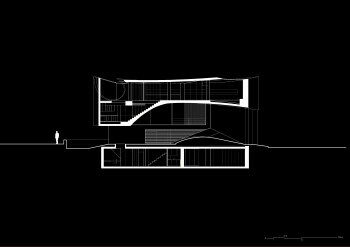 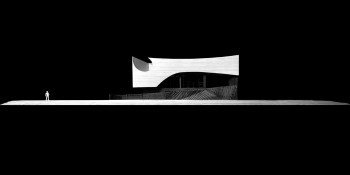 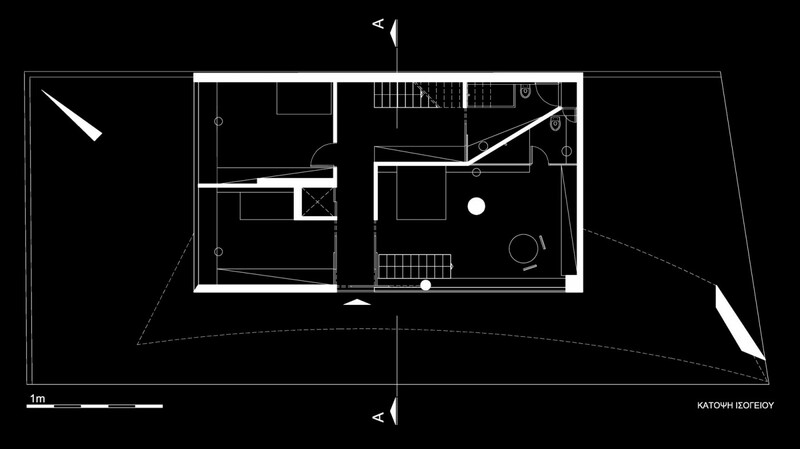 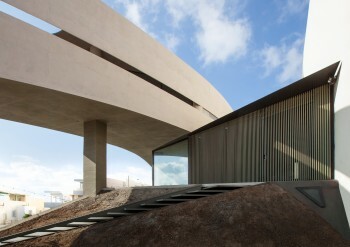 The house is curved, twisted, excised, following the field’s forces -natural or urban. The essentially playful façade seems to enjoy the contrapuntal complicity of its neighboring mass-produced apartment blocks.